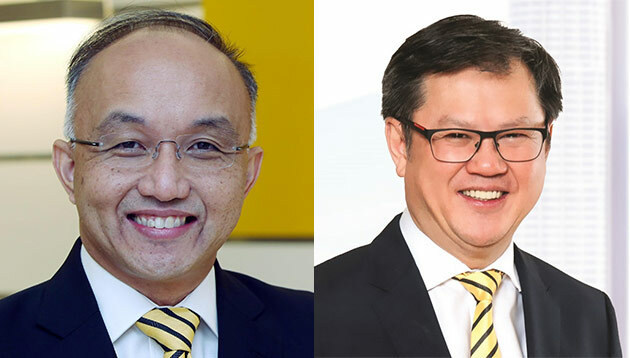 Maybank has appointed Dato’ John Chong (pictured left) as group CEO, community financial services, effective 18 July 2018. He replaces Datuk Lim Hong Tat (pictured right) who will retire from Maybank on the same day. In a statement to A+M, Maybank’s spokesperson said Chong’s role is a regional one. Chong is currently the CEO of Maybank Investment Bank (Maybank IB) and Maybank Kim Eng (MKE), with over 25 years of experience in investment banking with the Maybank Group. Prior to his current role, Chong was deputy CEO of Maybank IB and acting head of MKE. He has also helmed roles such as managing director and head of client coverage private sector for Maybank Group. According to the press statement, Maybank is currently in the process of identifying suitable successor candidates for the CEO role in Maybank IB and MKE, and an announcement will be made in due course. Datuk Abdul Farid Alias, group president and CEO, said Chong is the “ideal successor” for the position, as he has been a part of the group’s senior management for several years, and has cultivated strong relationships with local and regional stakeholders that will hold him in good stead in his new role. He added that Lim has been an “integral part” of Maybank over the years, having played a major part in the group’s transformation given his in-depth knowledge and experience in the consumer banking sector. “The group would like to thank Lim for his charismatic and passionate leadership, as well as his commitment and dedication which have played a key role in strengthening Maybank’s franchise in the region,” Abdul Farid Alias said. Recently, the bank allocated RM30 million to launch its FutureReady digital upskilling programme, which aims to increase employees’ digital literacy and equip them with capabilities to ensure they remain relevant in the industry. The mandatory training is part of the bank’s continuous commitment to enable employees to meet customers’ needs more effectively in the rapidly changing digital world. It also launched a re-imagined website for Maybank2u, which is expected to drive growth for its online banking transactions this year, increasing the number to 6.4 billion. The newly-designed website will progressively roll out to the bank’s key markets such as Singapore, Indonesia and the Philippines. Work is also underway for the new Maybank app, as part of the group’s mobile-first strategy. SIA: Too late to apologise?